Summertime is full of opportunities for most of us to get out and enjoy the beautiful weather. But as we all know, that searing summer sun can be intense and in the search for some reprieve we often find ourselves poolside, in local stream, river, lake, or on the beach. If you’re like me, you likely have your pet along too. My pup is a water-lover; if there is a way for her to get wet she will be. While it’s always fun having her along to play or go for a swim, it’s also important to keep any pet’s safety in mind while on, in, or near water. 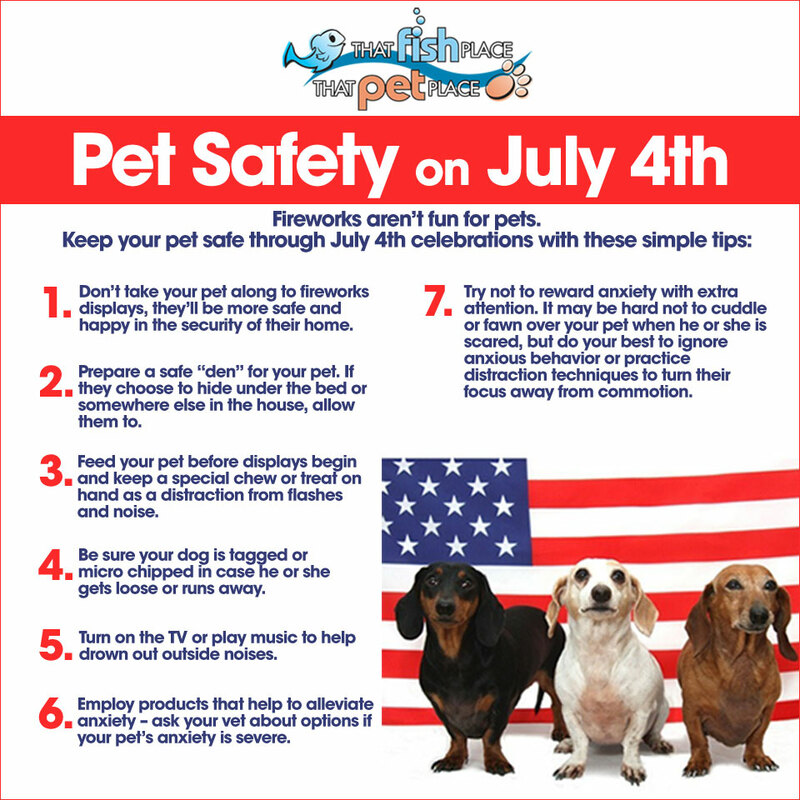 Here are some things to keep in mind as you splash through summer with your favorite four-legged companion. 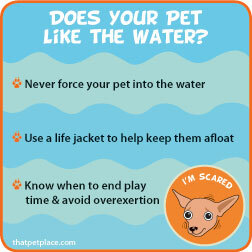 Does Your Pet Like The Water? 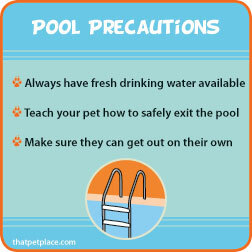 The first thing to think about (especially if this is the first season you’ll be taking your pet in or near water) is that not all pets can swim, swim well, or want to swim. While some dogs seem like they were born to swim and take to it immediately, others struggle with fear of the water, panic in the water, or even find themselves in peril due to their own physiology. In my experience, toy breeds tend to be less than enthusiastic about water. I’m sure there are exceptions to my observations, but in general they have no interest and may even tremble at the sight. Likewise, breeds and mixes with thick bodies, short legs, cropped/short tails, and short snouts are prone to being terrible swimmers. Though they may be interested in swimming, you may find that it just doesn’t work out for them without a little help and constant supervision. 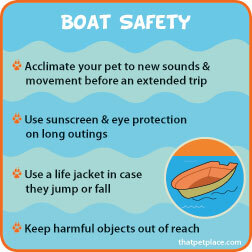 You may consider purchasing a life vest to help to keep your pet afloat. Never force your dog into the water. Allow them to approach and investigate on their own under close supervision. 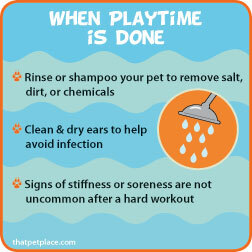 If he or she seems anxious or scared, water play may not be for your pet, and taking them into the water may only increase that fear or anxiety. Some pets like to take a quick dip, others may stay in the water all day if you let them. You can usually tell when it’s time to take a rest just by the way your pet is holding himself. Know when it’s time to wrap up play time, especially when the temperatures soar to avoid over exertion. Other conditions may also make it hard for pets to partake in water activities. Small dogs and dogs with little or no fur can become cold quickly, even in warmer water. Older dogs and dogs with pre-existing heart, joint, ear or skin conditions could have flare-up after going for a swim. to swim (no matter where) be sure to look around the area. Posted signs such as “no swimming” signs should not just apply to you, but to your pet as well as there may be unseen safety hazards. Avoid bodies of water that smell bad or may be prone to farm waste, roadway runoff or other contaminants that may be harmful to you or your pet. Also be aware of potential hazards in the shallows or on the shore such as broken glass, fishing line/hooks, sharp rocks or branches, and other potential hazards. Be sure the area you choose has slow current and areas where he or she can reach the bottom or the shore easily to take a breather. If you live near the coast, you may be lucky enough to take your dog to the beach for playtime. It’s particularly important to pay attention to wildlife and water condition warnings at these locations. 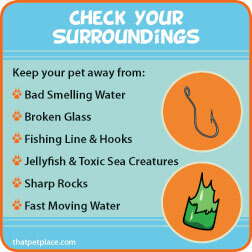 Strong tides, waves and undercurrents can pull your pet under or carry them out into deeper water. Jellyfish and other sea life (such as toxic pufferfish), alive or dead, may be washed onto the shore and can make a pet sick or inflict other injuries. be acclimated to traveling on watercraft before you embark. especially for repeated or longer trips. Some of you may have a pool in the backyard. If you allow your dog to take a dip on hot days, teach him how to get out of the pool on his own by helping him up the stairs or ladder a few times. Make sure he knows where the way out is and that he can get out on his own! Keep fresh-chlorine free water near the pool on the deck or patio so he doesn’t take to drinking to pool water. The chlorine and other chemicals that keep the pool crystal clear can give your pet quite a tummy ache. When your day of fun is done, rinse or shampoo your dog to remove pool chemicals, salt and other residue from his skin and coat. Take care to clean and dry his ears to avoid ear infections. Even a well-conditioned swimmer will be sure to sleep well after a day in the water, your pet may even be a little stiff and sore if he doesn’t have a workout like that often. Rest assured that in a day or two he’ll be ready for his next swim session! Hope you had a great weekend. Let’s get the week started with an article from guest blogger Melanie. 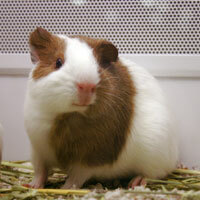 She has a post for us that should help you out if you are trying to decide between getting a rabbit or a guinea pig. Each of these small pets have their own characteristics and behaviors and their care may suit your personal situation better than the other. Melanie’s outline of pros and cons should be able to help make your decision a bit easier. If you have a preference between a rabbit and a guinea pig or if you have a question or comment, please let us know in the comments section below. Thanks! A first pet is a very important right of passage for your child. Not only does it make a very cute contribution to your family, it teaches your kids responsibility and to love and respect the animal kingdom. That said, having a pet isn’t always easy. They take looking after, feeding, exercising and immunising. If you’re thinking of getting a pet for your child, it’s always good to start with something small and manageable. Two great examples are either guinea pigs or rabbits. Both of these animals are relatively low maintenance and your children should be able to take care of most of the responsibilities involved. Below you will find the pros and cons for each animal, which should help in deciding which to get. They are small in size and can fit in your children’s hands. They are gentle and not intimidating for children. They feed on dry food, grass and vegetables which is easy to find. They require little or no vaccinations. They are independent and do their own thing. They can exercise in their cage or indoors. They show affection to their owners. They can be litter boxed trained. They can be left to roam. They live 8 – 12 years, slightly longer than guinea pigs. They are stubborn animals and training takes time. They can be smelly. Hutches need to be cleaned frequently. They chew everything they come into contact with so home roaming can be a problem. They are susceptible to exposure and in extreme weather may need to stay inside. 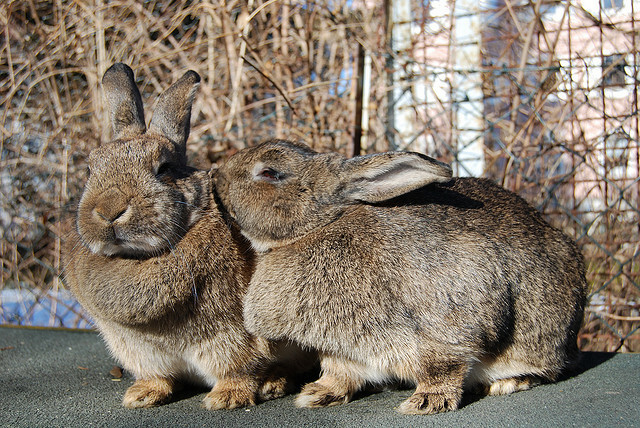 Finding veterinary help for rabbits can be difficult as it’s uncommon. They poop a lot and everywhere. They will wee on you if given the chance. They are very quick and can be hard to catch when returning them to their cage. They are rapid breeders so be careful if you have more than one. They do not bite and are even more gentle than rabbits. They don’t breed as quickly as rabbits. They make adorable squeaking noises. They are very easy to take care of. They live 5 – 8 years, more than smaller rodents. They love to be held for hours and are easy to catch. They have a great temperament. They can be shy at the beginning and run away from you. Cages need to be cleaned frequently. They can be noisy so best kept outside. They aren’t as simple to feed as rabbits. They need a variety of vegetables, hay, and high quality pellets that you might have to order online. They poop and pee without warning. Melanie is a pet lover and very keen blogger. Over the last few years Melanie has contributed numerous articles on pet care and products. Melanie is currently working on a new pet blog that should be released soon. Tips for Keeping Your Pet Hydrated – Cheers to Hydration Month! Perform the skin test: Gently grab a fold of skin on the back of the neck or between the shoulder blades & release. If the skin snaps back into place, your pet should be okay. If the skin slowly returns to place, your pet could be dehydrated. Have your pet checked by a vet. Provide fresh, clean water daily. Monitor your pet’s water intake, especially in the hot summer months. If you are having trouble getting your pet interested in water there are a few things you can try. Change the type of pet bowl. Some prefer ceramic (lead-free glazed, of course) over metal bowls and vice versa. Try a pet fountain. Clean, fresh, running water might be more enticing for your pet, while others will appreciate the water being filtered (thus tastier) and kept cooler. Change the location of their water dish. Be sure it is far from the litter box and/or out of direct sunlight. Consider adding a wet food to your pet’s diet, or add water to their dry food. Wet cat foods usually contain around 80% water. Just be sure to adjust your portions of dry food to ensure you aren’t over feeding your pet. 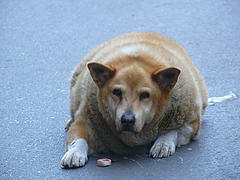 According to leading veterinarians, pet obesity is becoming an epidemic and should be a top health concern for pets. 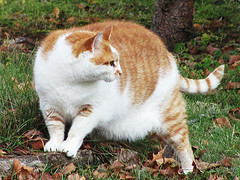 It is estimated that 54 million cats and 34 million dogs in the US are clinically obese. 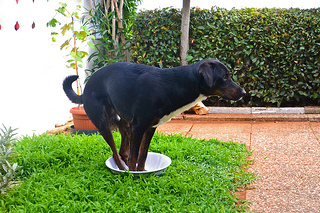 Many pet owners struggle with keeping their pets at an ideal weight. We’ll admit, it can be sometimes hard to deny those puppy dog eyes and we just want our pets to be happy, right? So why can’t they have a few extra treats if they want them? Unfortunately, a few extra pounds can be detrimental. The excess weight on our pets can cause a variety of other health problems, the same way obesity can have adverse effects on human health. A few extra pounds on a dog may not seem like anything to worry about, but the added weight can exacerbate arthritis, cause joint and bone issues, and it can greatly increase the possibility that your pet will develop diabetes or cardiac/respiratory disease. Thier immune systems can be diminished, making their ability to fight off other illnesses and disease. It’s best to learn how to prevent pet obesity before weight related complications arise, because even if your pet loses weight, the damage may be irreversible. The easiest way to tell if your pet is overweight is to feel the ribs. If you can feel the individual rib bones easily your pet is most likely not overweight. The Healthy Weight Calculator from PetMD.com is also a great tool that can help you determine your pet’s proper healthy weight. There isn’t just one cause of pet obesity; there are quite a few factors involved! Our pets rely on us to feed them properly and give them the proper amount of physical activity to stay fit. They don’t think about what they eat, if they are overeating and how it may effect their health. If your dogs are like mine, they will accept any treat or table scrap offered without hesitation. Most pets, including cats, need a fair amount of physical activity each day in order for them to stay fit; a sedentary lifestyle combined with poor nutrition is the number one cause of pet obesity. When deciding what and how much to feed your pets, keep their activity level in mind. The amount of food listed in the instructions on pet food labels may contain too many calories for your pet, especially if they aren’t very active. Many pet parents ‘free feed’ their animals, in other words, their animals have constant access to food throughout the day. Some pets, though few and far between, are good at self-regulating and stop eating when they are full, while others will scarf down food whenever it’s available. It’s important to measure out the amount of food that your pets eat in a day (including treats and table scraps! ), so you can monitor their intake. Some specific breeds may be more susceptible to obesity. These breeds may be predisposed to conditions including naturally slow metabolism and hormonal disorders that make them more likely to gain weight. Having a pet spayed or neutered also causes metabolism to slow, and after the procedure many pets gain weight, but the benefits of spaying and neutering your pets far outweigh the negatives. The average human needs a 2000 calorie diet to maintain their weight and receive adequate nutrition, our pets need far less. Refer to the following chart to estimate the number of calories that your pets’ require. For a more accurate estimate of your dog’s require caloric intake, visit the Dog Food Advisor’s Dog Food Calculator. Use a smaller scoop and a smaller food bowl. Studies have shown that the size of your pet’s bowl and food scoop affects the amount of food that you feed your pet. If you have a Chihuahua and you are using an 8 inch bowl, you are probably going to overfeed Chico quite a bit. It all has to with how much food you perceive is in the bowl. If you used a small dish, you would perceive that you were feeding more food. If you are trying to help your pet lose weight, using a smaller bowl and a smaller scoop will go a long way towards helping them reach their goals. Many people are feeding the right amount of kibble for their dog’s appropriate weight, but they might also be feeding them a dozen milk bones or bites of “people food” throughout the day. Don’t forget that the treats and snacks that you feed your pet throughout the day should also count towards their daily calorie intake. That includes treats used for training! 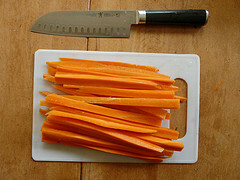 If you pet isn’t a picky eater, try using carrot sticks, apple slices or celery as a substitute for high calorie treats. They’re natural, whole foods and low in calories, and most pets love them. If you feel that your pet seems hungry throughout the day, try dividing up your pet’s meals into smaller, more frequent meals throughout the day. Before you schedule your pet for 4 meals a day, a word of caution: your pet has probably trained you into feeding him when he does something specific. For example: Bear knows that if he sits next to the treat jar looking sad, I will probably hand him a cookie or if my cats meow at the top of their lungs for an hour, I’ll provide them with a scoop of kibble or two. My pets are likely not actually hungry, but they are repeating behaviors that in the past has been rewarded with a treat or extra meal. Try not to give in, redirect them with a game or go for a quick walk if they’re particularly relentless. Supplementing meals with fresh or frozen vegetables or low calorie fruits can be a big help. The added fiber in the vegetables will help your pet feel fuller, longer. Don’t feed your pet foods that may be toxic, like tomatoes, onions, mushrooms, garlic, avocados, raw or green potatoes, grapes, raisins, or any pits, stems or seeds from fruits. I also tend avoid corn, since it is a common pet allergen. You should always consult your veterinarian before putting your dog on a special diet or exercise program. The first, most important and often most difficult step is is to control the amount of food your pet is allowed to eat. If you cannot excercise your pet as often as necessary or if your dog has a condition that hinders activity and natural weight maintenance, your vet can often make recommendations to help with your situation. A slow and steady approach is the healthiest, just as with people in the same predicament. Make slow changes to your pet’s diet and exercise regime. Your pet shouldn’t lose more than 1-2% of body weight per week. Maintaining a healthy body weight and an active lifestyle will help you keep your pet at it’s happiest and healthiest for years to come! I want to take my dog everywhere! Let’s face it – he’s a part of the family. And the last thing I want to do is pay an expensive boarding company to keep my dog while I’m away. Why should I have all the fun? That’s why I put together this simple resource guide to help myself, and other pet owners, track down worthwhile places where the 4-legged family member can tag along too. As a bonus, I’ve added some personal thoughts on places around Lancaster County that I’ve found are GREAT for dogs! Bringfido.com is the ultimate resource to use when planning your vacation. They have anything, and everything you could possibly think of. From lodging to emergency pet care, it really has it all. Dogfriendly.com has been around the longest, and is filled to the brim with awesome travel information. Feel like taking a pet friendly vacation abroad? 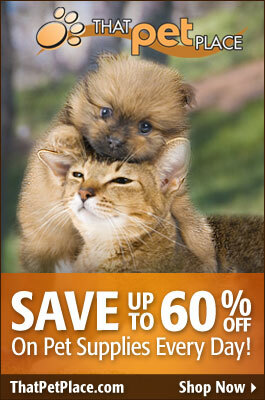 Their database includes pet friendly travel destinations worldwide! 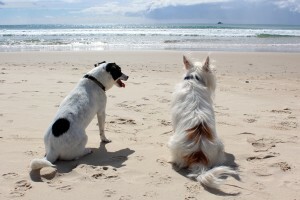 Petfriendlytravel.com not only shares tips for travel, but they include pet friendly vacation rentals by state. Yes, I would love a rental by t he beach, Thank you! 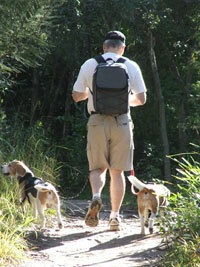 Gopetfriendly.com has the best traveling tool called the Road Trip Planner. Just enter your departure and your destination, and check off the boxes that you are interested in. Like magic all of your pet friendly destinations are listed on your map. It’s awesome! 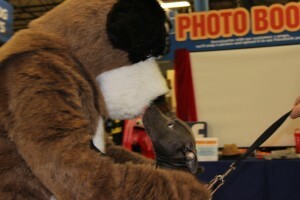 Petswelcome.com is the perfect site to use if you have a particular destination in mind. They list all of the top travel destinations, and you can even search by route. 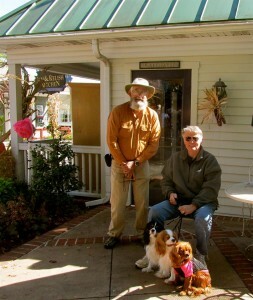 Stop at a pet friendly attraction on your way to your pet friendly destination. If you are from Lancaster than you might already know of some of the pet friendly businesses that we have in the area. Visiting us for the first time? Don’t you worry your pretty little head, because I have your back. Pets of all walks of life are welcome in our 88,000 square foot store. You can shop until you drop, while your pet gets to socialize with other animals and our friendly staff. Great place to bring the dog! They have places all over to put poop bags, and their entire place is accessible. 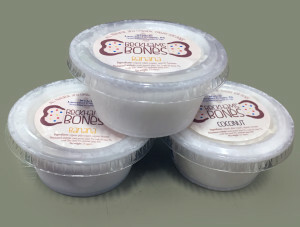 Pick up some apple butter for yourself while you’re there, it’s the best! Referenced from Kitchen Kettle’s Facebook page. The pups love the open air as much as I love the beautiful scenery. Dogs are allowed on the grounds of all of these two locations, but not in the individual buildings. I always travel in a small group so that no one gets left out. 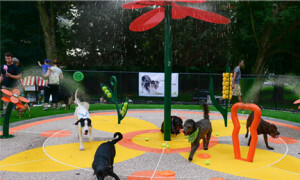 The park features a large dog play area, as well as a small dog play area. The park is chock–full of splash gardens, obstacles, and a tree that launches tennis balls! The dogs all love this park, and it breaks their hearts when it’s time to leave. This park has been a Lancaster County staple since the 1900’s. It’s beautiful from its head down to its toes. During the summer the fun never stops with their free summer concert series. That’s right, I said free summer concerts. The pups love it! Lancaster is not shy of any walking trails, thanks in part to the Rails-to-Trails Conservancy. Enjoy the beautiful outdoors with your favorite furry friend, and be sure to check out some of the other local dog friendly parks along the way. Referenced from Lancaster Brewing Company’s Facebook Page. I don’t know about you, but all of this exercise is making me hungry! Believe it or not, there are plenty of outdoor cafés and eateries throughout Lancaster. 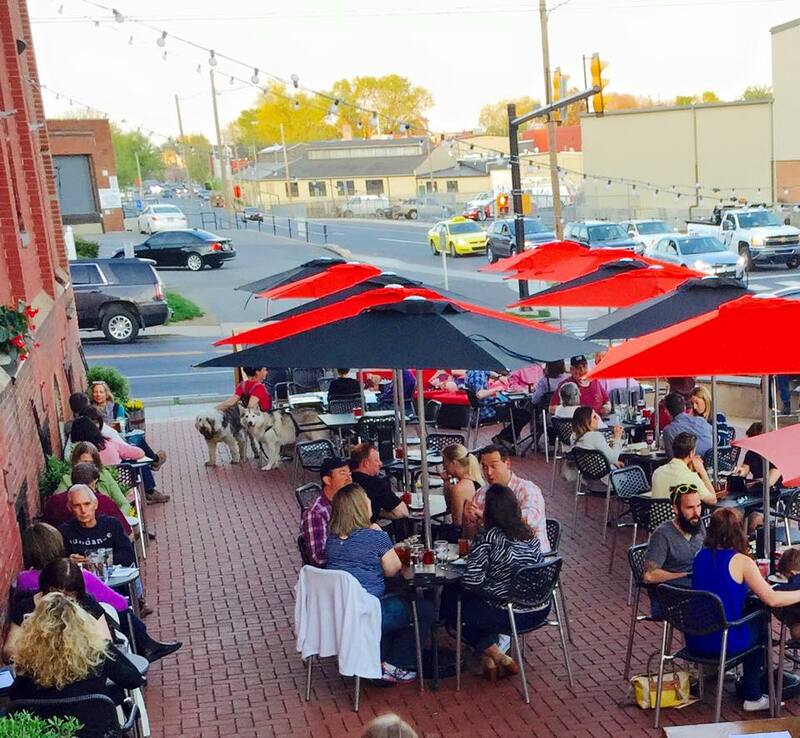 Four54 Grill, Prince Street Café, Pig Iron Brewing Co, and Lancaster Brewing Company are just a few. If you have a bit of a sweet tooth, check out the newly renovated Splits & Giggles. With so many eateries that offer outdoor seating, there is no reason to dine without my pup. After a long day of activities, we all need a good hard rest. Check into one of our local pet friendly hotels like Best Western Premier Eden Resort & Suites. Most of these hotels charge a small fee, but allow dogs of various sizes to stay. The best way to check on a specific hotel’s policy is to call and ask. The one I have listed here is not the only one. It’s still Always a great idea to call ahead first to determine their policies. So what are you waiting for? Come to Lancaster and enjoy your stay.